Publisher: Toptal, Testing Perspective, etc. 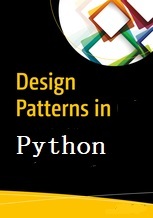 This book is about learning design patterns through the medium of Python language. If you are a tester interested in design of test automation frameworks or thinking about how a single test automation problem could be solved in different ways, this book would prove to be very useful. If you are new to design patterns being a programmer or you want to explore OOP in Python further, this text provides the first building blocks. As you progress through the book, you will learn about Singleton patterns, Factory patterns, and Facade patterns in detail. After this, we'll look at how to control object access with proxy patterns. It also covers observer patterns, command patterns, and compound patterns.